I would not advise living in a place with toxic mold that requires you to get rid of all your belongings… However, I would advise anyone who is making the leap from a “normal” living environment to a tiny space to basically start from scratch. 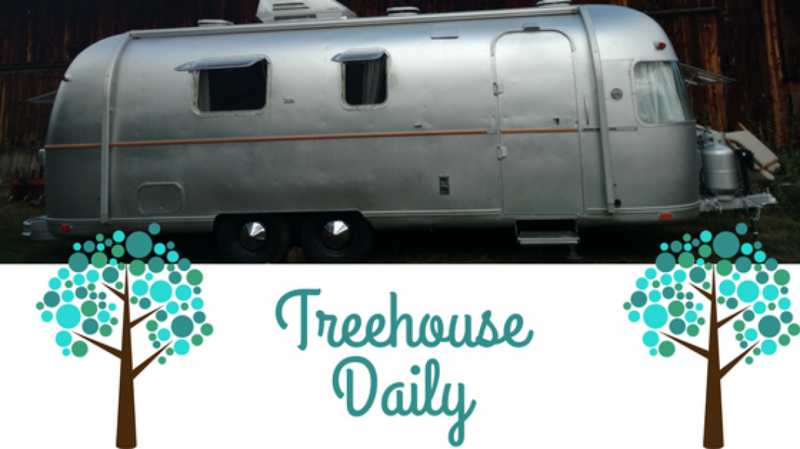 Obviously, it wasn’t our plan to get rid of everything before we moved into the Airstream, but it certainly made the move a lot easier! Now when I consult with families on social media who are thinking about making the move to Full-time RV or Tiny house living I give them a few basic tips. I’ve been talking to people about this a lot lately so I thought I’d put all my tips here to share with those of you who are thinking about making the big move to small living. Tip #1- The whole family needs to be on board. This is a HUGE change to an ITTY-BITTY space. You don’t want to all be stuck with 50 sq. ft per person with a grumpy and resentful family member. #2- Do a trial run with your stuff. This was one of the biggest contributors to us deciding to purse tiny living. We packed up everything as though we were moving and only unpacked the bare minimum necessities. The next summer, we packed everything up and had it all in storage as we traveled all summer. We realized how little we really needed to survive and that we were much happier with less stuff. It also helped us purge items a lot easier because we’d mostly forgotten what we had anyway. #3- Do a trial run of space. In a lot of areas of Europe in the winter, the family mostly lives in the kitchen & living room. Set up your family with your minimal amount of stuff and strive to only live out of ½ or ¼ of your home for a few months. Get a few curtains for extra privacy. If you already have a floor plan idea for your dream RV or tiny home, you could even try setting up your living space like this. #4- Take a long trip. Once you’ve done your trials, you’re ready for a good trip. I think at least a month is good. Rent an RV, go stay at Wee Casa in Lyons, CO, or get a Tiny house rental on Air BnB and give it a shot! Wow! We were really surprised by how many factors we would have to take into consideration with living this type of lifestyle. Reach out to people already living the kind of lifestyle you’re hoping to (I LOVE talking with others who are thinking about going tiny), read tons of blogs and articles and do your research. It’s such a small space- set it up to be your tiny dream home! #6- Consider your brands and safety. Chemicals are a growing concern in building materials, home textiles and other products. This is an even bigger concern in such a little space. Good research comes into play here but you don’t want to be stuck in 250 sq ft with a ton of chemicals! #7- Plan where you’ll stay. I see people on my Facebook groups constantly without a place to stay for the night because they don’t plan ahead. As full-time RV living is gaining popularity, campsites are increasingly difficult to come by. We like the Park Advisor App to help select campgrounds.